Emerge Knowledge Design Inc. is very excited to announce that Glen Murray will be joining our company as a Strategic Advisor on September 24th, 2018. Glen’s extensive experience developing practical solutions to waste reduction and product stewardship challenges and his visionary ideas about transitioning to a circular economy align well with the sustainability services our company delivers. Re-TRAC Connect, our flagship data management and reporting solution, is used by over 37,000 organizations throughout the United States and Canada to collect, manage, analyze, and report waste and recycling data. Re-TRAC simplifies data management, improves measurement, and informs decisions while driving efficiencies and streamlining the flow of information. Glen will apply his energy and insights to opportunities where more efficient data management and better measurement can improve how materials are managed. Working together, our goal is to accelerate the transition to a circular economy. Prior to joining Emerge Knowledge Design Glen was the executive director of the Pembina Institute, Canada’s leading energy think tank. Glen was an Ontario cabinet minister, and oversaw several portfolios, including transportation; training, colleges, and universities; research and innovation, and most recently, environment and climate change. 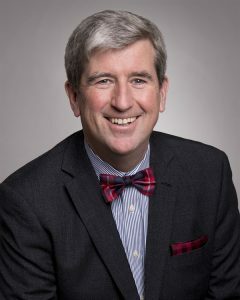 In his role as environment minister, Glen initiated and oversaw the implementation of Ontario’s ground breaking zero waste and circular economy act that introduced extended producer responsibility to Ontario. He led the development and implementation of Ontario’s cap-and-trade system, and played a foundational role in the creation of the Quebec-Ontario-California carbon market. Glen has held a number of leadership roles, including serving as mayor of Winnipeg from 1998-2004, and was chair of the Big City Mayors’ Caucus. During his time as mayor, he led the successful fight to transfer the five cents/litre federal gas tax to municipalities and undertook a major expansion of Winnipeg’s recycling and resource recovery programs. He also served as chair of the National Round Table on the Environment and the Economy, under Prime Ministers Harper and Martin. Glen was also president and CEO of the Canadian Urban Institute. Glen started one of Winnipeg’s first environmental small businesses in the 1980s. He and some friends built Envirofit a company that helped other small businesses reduce energy and material consumption and help them shift to recovered resources. Glen started his career in activism as a founding member of the Canadian AIDS Society, and helped establish the Village Clinic in Winnipeg, a centre for AIDS prevention and care. He has worked internationally, helping establish the World Health AIDS Service Organization’s working group. When he’s not in the office (or baking cookies to bring into the office), Glen lives on his bike. Is it time for your organization to invest in web-based software? Have you registered for RRC 2018?